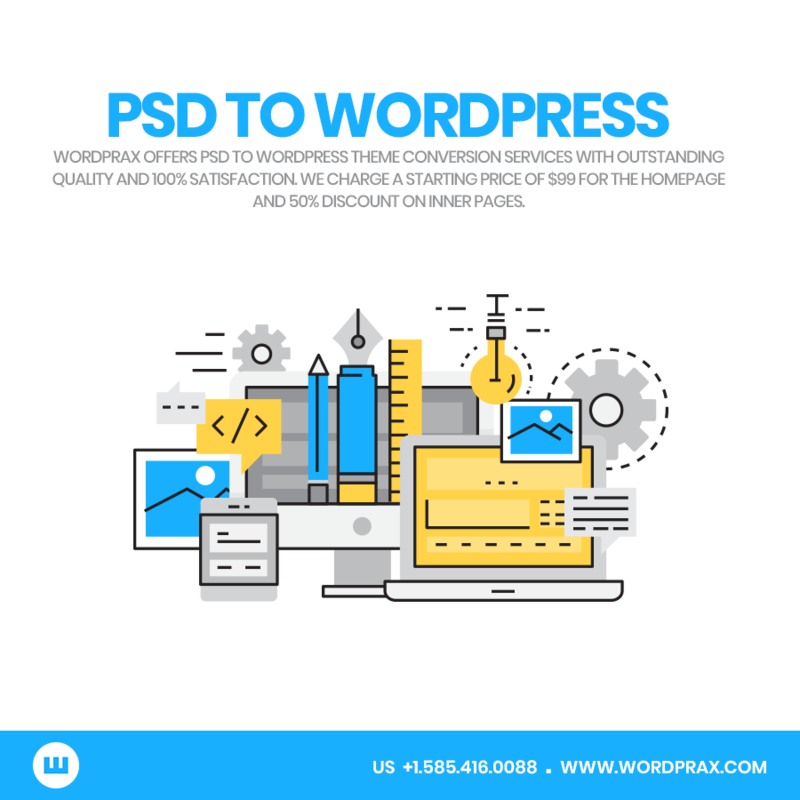 Your reliable web design company to convert PSD to WordPress theme! Have you always thought of getting your dream website from a WordPress Web Development company that is expert at PSD to WordPress conversion? Then, you are at the right place. We follow the highest standards of hand coding and slicing process. You need to tell us your project brief and website goals, we finalise the order and ask you for design files and documentation. After we evaluate your design files and requirements, we let you know about the cost estimation. Give us a green signal and we start with it. Our PSD to WordPress theme development cycle is unbeatable. Our code-ninjas ensure flawless manual coding during the whole process. This step is bound to make your website stand out from the rest. We assure no crashes, no bugs, nothing sorts of that. 100% guarantee. After our quality analysts are diligently and precisely satisfied with the quality of the product, we deliver the final product to you. Wizards in PSD to WordPress Theme Conversion! Our area of expertise is WordPress CMS development. We hold an unquestionable position in the web development industry because of the preciseness and diligent efforts we do to make your website thrive and survive in this bottleneck competition. Digital presence demands something as intransient as a website. Driving traffic to the website and retaining the users need the website to be pixel-perfect to the core. Not only browser-compatibility is essential but SEO-friendliness is crucial too. The genius experts at WordPrax make sure that the slicing, manual coding and cross-browser quality analysis of your WordPress theme is top-notch. Our motto is to remain in constant connect with you until your PSD to WordPress website is ready for the launch. WordPress is the present and the future of digital world! Our USP is that our team of masterly WordPress developers have an eye of detail and perfection to create something extraordinary. Unique websites for every client tailor-made to the requirements for the growth of the business is all you need. Our fast-track service, client satisfaction and pro PSD to WordPress service will sweep you off your feet. Get started now! We are here to help. Category: psd to wordpress, Web Development and tagged PSD to Wordpress, WordPress development by The WordPrax Editorial.